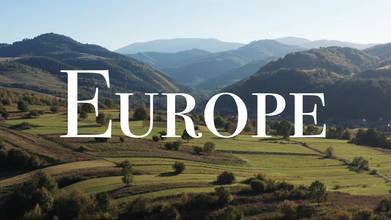 From its beautiful mountians and rolling hills to its seaside towns and thunderous rivers the landscape of Eastern Europe is something to behold. Include the unique architecture and towering monuments and you have this dynamic, 4K aerial video by EF.cinematography. Description: There is some special, unique beauty in countless forests, shores and fields of Eastern Europe. Hope I was able to catch some of this magic for you to enjoy.